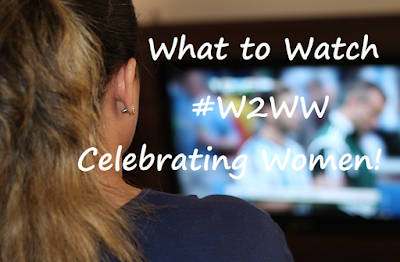 It's Wednesday and time to tackle that ever popular question: What's good to watch? I'm recommending 4 must-watch Documentaries about Women this week, that are currently available to stream on Netflix Canada. So why not sit down and watch these with your daughters AND sons, then start a conversation. This is important stuff! 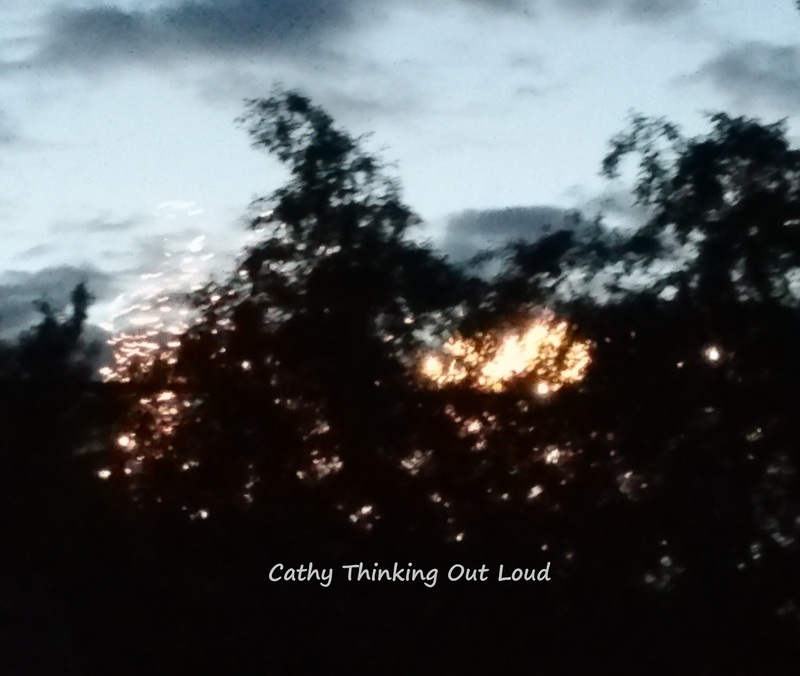 Yep, just Cathy thinking out loud about what to watch. Note: I have not been compensated for this post, and my W2WW/What to Watch posts are merely something I like to share with my readers. They are not connected to Netflix or my involvement with the Netflix Streamteam. 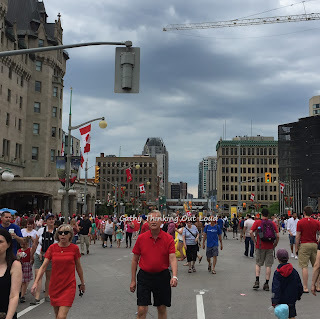 To me Canada Day marks the beginning of the summer. By July 1st we have all recovered from the sleep deprivation and stress caused by end of school year assignments and exams, and are in our respective "Summer Happy Places". I love everything about Canada Day: Canada Proud displays of red and white, Canadian flags in every size, hats and t-shirts embossed with Canadianisms, and the fireworks. 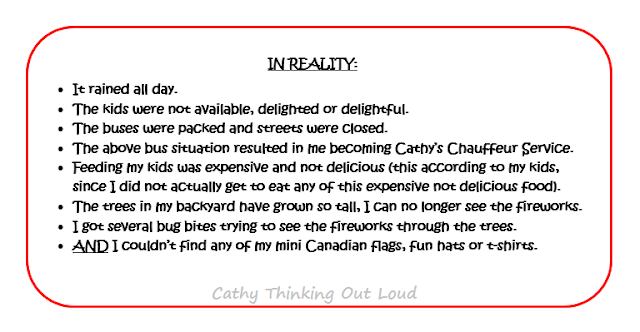 This year the reality of Canada Day (like most of the summer so far) was a teensy bit different from the day I pictured in my mind. 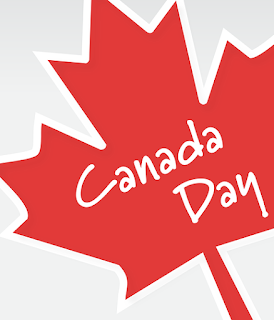 For entire month of July I'm celebrating Canada Days. So bring on the Poutine, Ketchup Chips and the Beavertails. I'll proudly wear a toque while out and aboot, or at Timmies ordering a double double. Thanks Thing 2 for the pic showing your Mother-financier-chauffeur all the fun she missed out on. 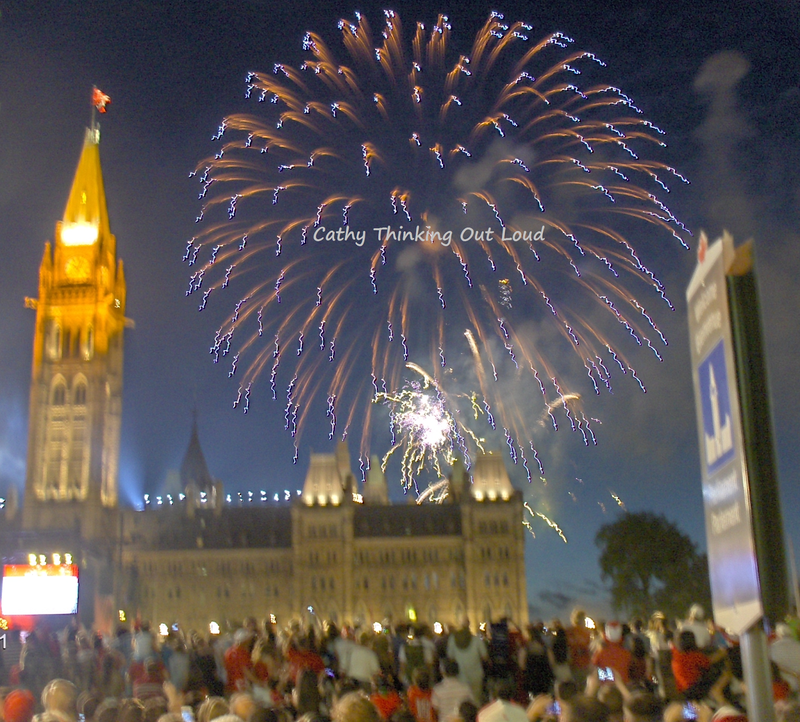 Netflix's selection of shows set or filmed in Canada is definitely worth celebrating! Yep, just me Cathy thinking out loud about Canada Days. 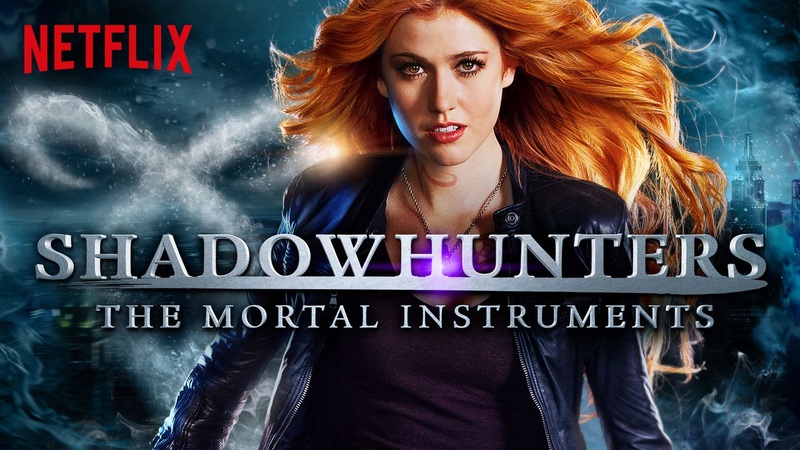 Note: As a member of the Netflix Streamteam I receive Netflix and a streaming device free of charge for the purposes of my reviews and posts. All opinions are my own. 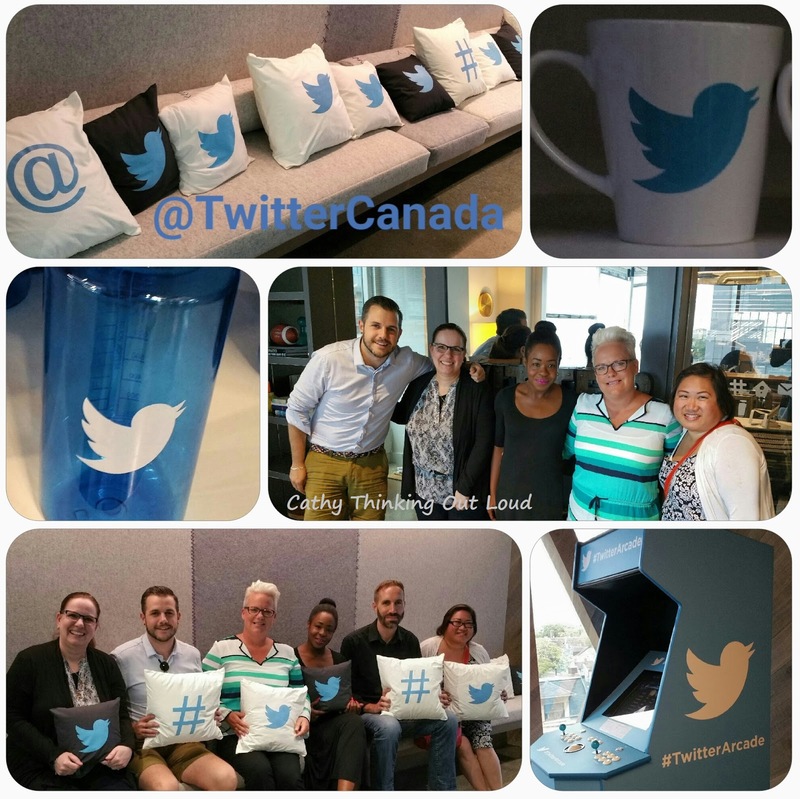 I had the chance to visit to @TwitterCanada Ain't that a sweet tweet treat! My street cred with my teens increases substantially when I casually dropped: "I'm going for a tour and Q & A session at Twitter Canada tomorrow, cause I'm cool like that". 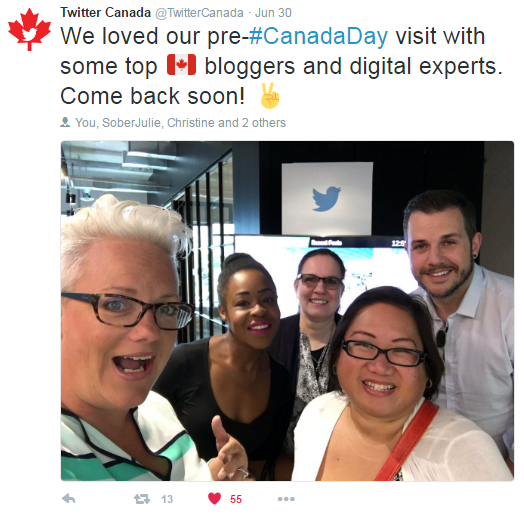 Recently I was lucky enough to be included in a small group to both tour Twitter Canada, and participate in a Q & A session with their Communication Lead. (thanks for the invite Julie!) This fabulous group was diverse in age, background, experience, interests, and domiciles. 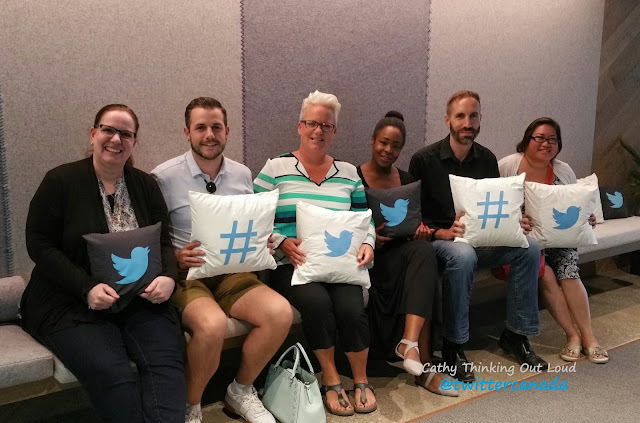 After a little pillow talk about the tweet swag at Twitter Canada, giving up on my "Free the Blue Birds" campaign to release a flock via my purse, and saying howdie to my pal Justin, Julie, Garrett, Christine, Chantel and I settled in for over an hour of talking twitter. 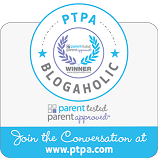 The conversation was allowed to flow very organically resulting in shared insights about how we use twitter, what we love, what we would love, how twitter has evolved, issues we've experienced, and social media in general. Our discussion ranged from hashtags, hashtag hi-jacking, ease of following conversation threads, twitter parties and chats, engagement, reach, marketing, brands, speed of information sharing, trolls, twitter cards, twitter stickers, and video to name a few. It's always interesting to see something from the other side and gain understanding why things are done certain ways, or the thought process behind changes or certain directions taken. 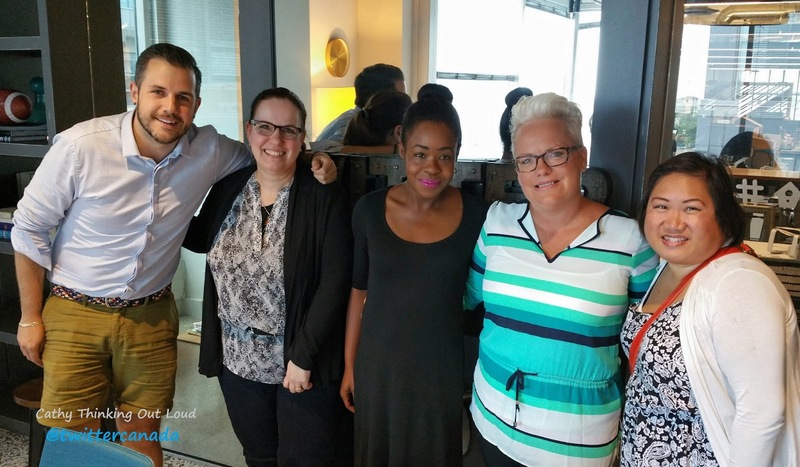 This visit opened up an opportunity not only to share and hear others' experiences and perspectives, but also to have a voice to those at Twitter Canada. They certainly appeared to be receptive to hearing what we had to share, and in the spirit of twitter have a two-way dialogue. Although no secrets or specifics about the future of twitter were revealed, I did get a chance to see the people and faces behind Twitter Canada. Meeting IRL (in real life) always changes the dynamics of an on-line relationship and future interactions, and IMHO (in my humble opinion) that's a good thing. Now if we could return to the topic of my swagger, Twitter Canada feel free to "swag her" (and by her I mean me) anytime! Thanks for the visit. 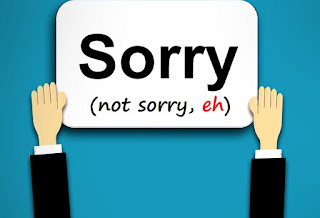 Until we tweet again! 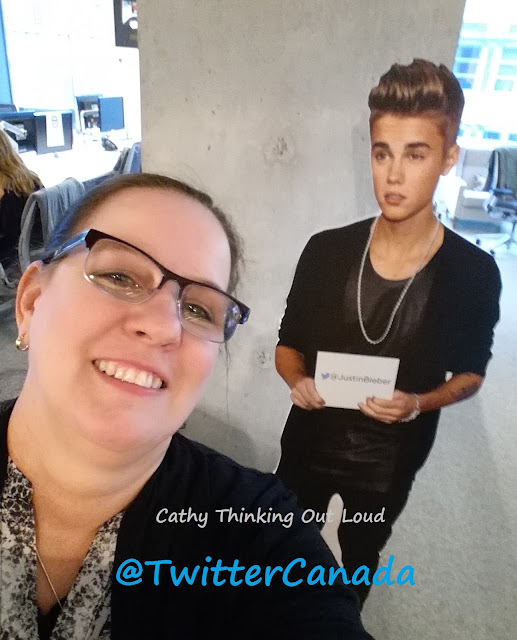 Yep, just me Cathy thinking out loud about Twitter Canada. with an invitation to Lena's for a BBQ! Close your eyes and visualize a beautiful sunny day, a specially-designed menu prepared by chefs, where my only job is to enjoy catching up with friends and feasting on the culinary delights. Sounds good doesn't it? And then visualize being able to easily recreate those same culinary delights when you host your own get-together. These budget-friendly menu ideas definitely meet the criteria for my make summer fun essentials list, and are perfect to get you out of the kitchen and into the fun. 1) Friends and Family: In my opinion a great mix of guests with diverse and interesting personalities, ages and life experiences is sure to keep any get-together fun and memorable. 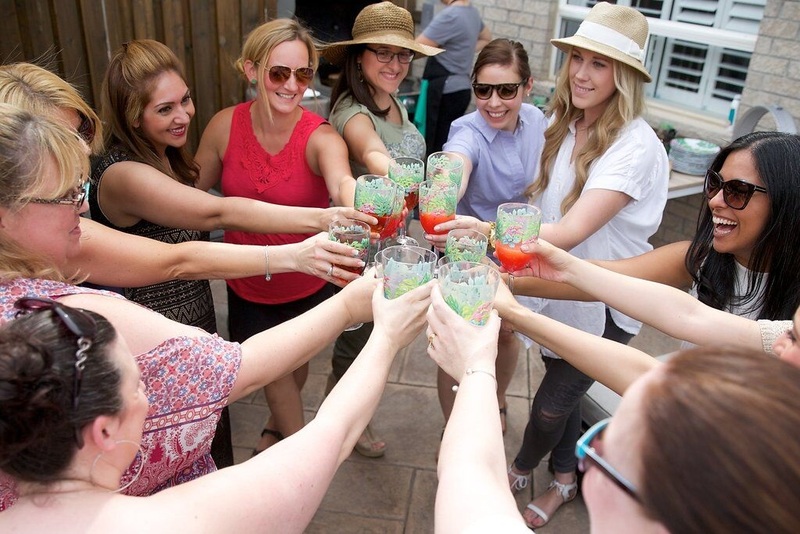 2) Great Food and Beverages: Nothing brings people together better than sharing a delicious selection of foods and beverages. 3) Fun: The fun factor is a must every step along the way; in the guest list, the food and the presentation. Get creative and make sharing a meal and time together an adventure. Think out side the box ... so to speak. For example, find ways to take plain burgers out of the box and transform them into something special. FYI it really is easier than you may think to make summer great! 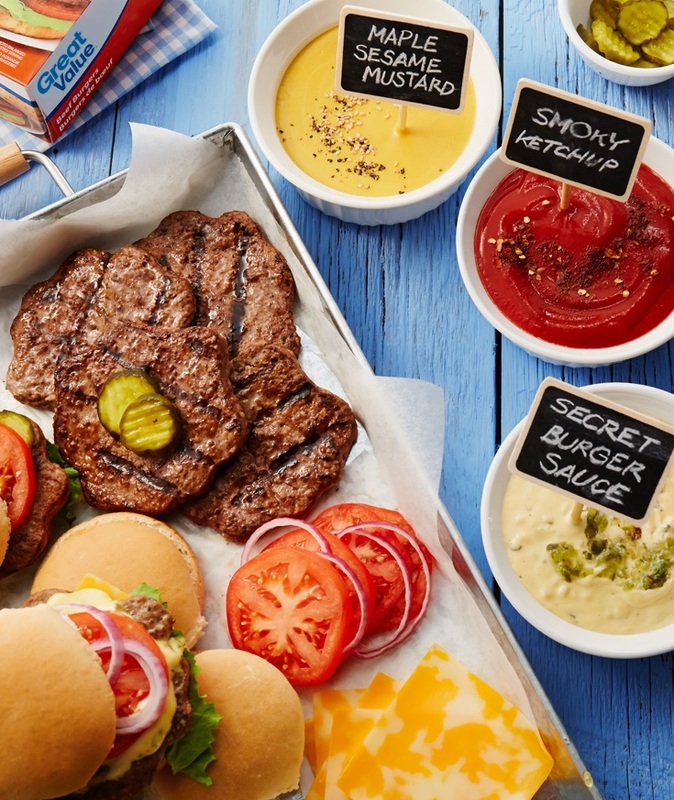 Lena brought her A game with all 3 essentials to make her summer BBQ great. 1) It goes without saying the company was fabulous and fun! 2) With some help from Walmart Canada and Great Value products Lena shared some favourite ideas for what I like to call "almost from scratch". Let Walmart make the basics and then bring it to a whole new level with personalized touches. Which brings us to 3) the Fun Factor. The food presentation was delightful making it an experience and adventure rather than just a meal. 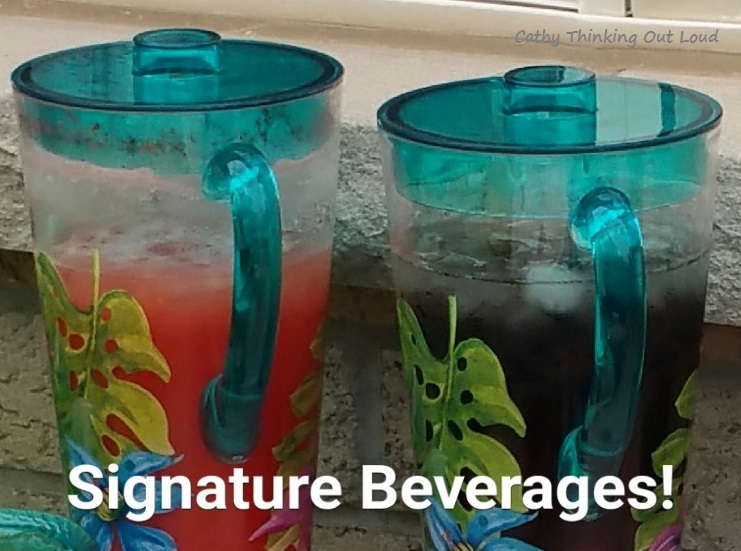 Signature Beverages: Nothing says fun like signature beverages. (you can even give them fun themed names like Cathy's Kaleidoscope of Flavours Punch) At Lena's we had the pleasure of experiencing: A sparkling Watermelon Limeade and a Berry-Mint Iced Tea. Appetizers: or as I like to say "appe-teasers", since they give everyone a hint of the delicious things to come. 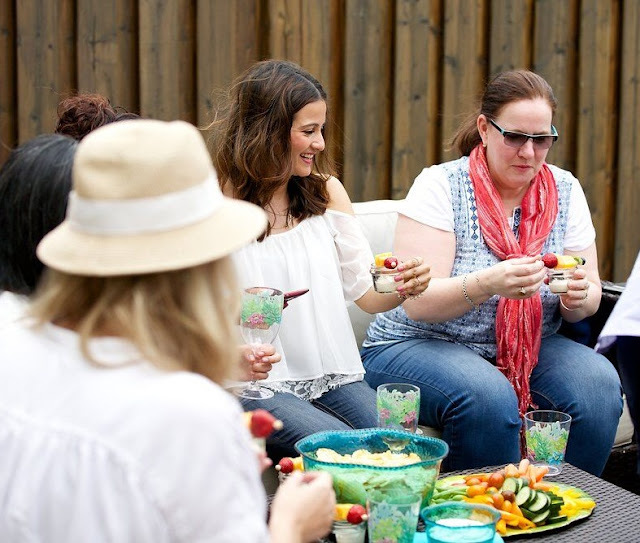 Lena started with Rainbow Fruit Kebobs and Creamy Lemon Dip. I love the fun factor the mini mason jars added. 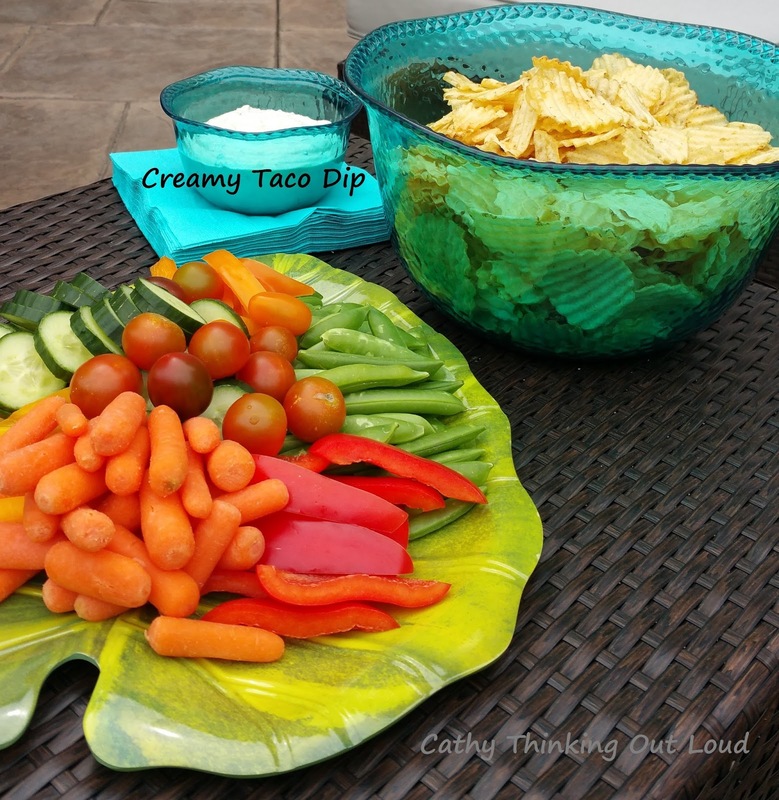 Then we moved onto veggies and chips served with a to die for Creamy Taco Dip. Dessert: It was a display of eye candy ... literally a selection of candy sure to please everyone. Nothing says fun like an ice cream sundae bar! Lena served ours in Marshmallow Cereal Bowls. 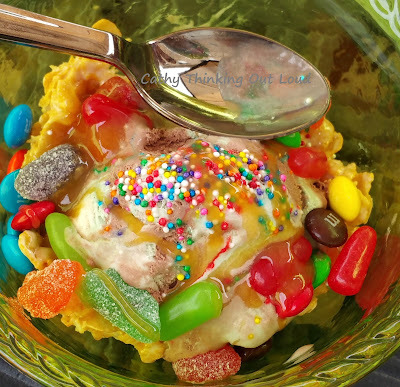 And, I think we can all agree my ice cream sundae artistic abilities are truly outstanding! Are you hungry yet? I bet you're ready to plan and "experience" of your own. 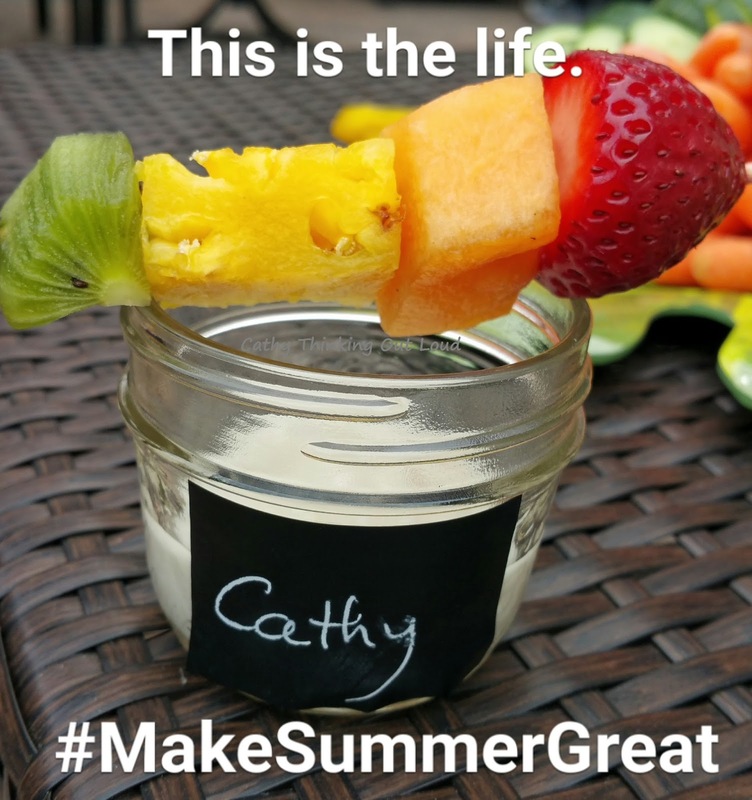 I hope these entertainment and menu ideas help inspire you to #MakeSummerGreat. I would like to thank Lena the hostess with the most-est, Anne and Walmart Canada for a lovely afternoon. They thought of everything, including sunscreen. Yep, just me Cathy thinking out loud about ways to #MakeSummerGreat. 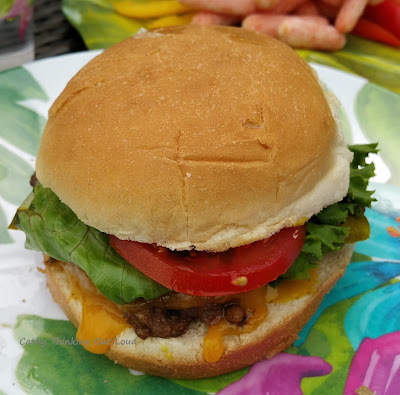 This post is sponsored by Walmart Canada, as part of the Great Value #MakeSummerGreat program. In exchange for this review, I have received special perks in the form of product and/or compensation. All opinions on this blog are my own. 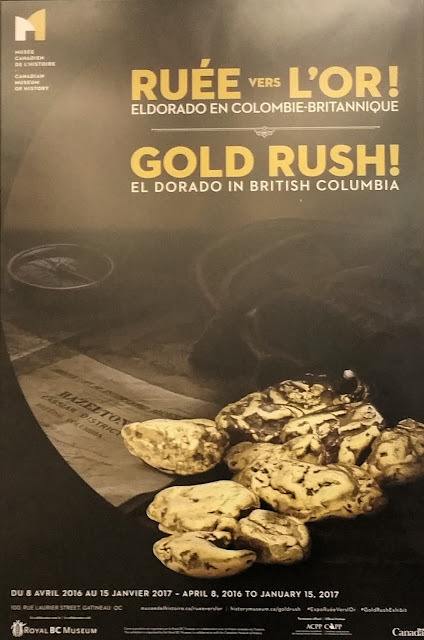 Gold Rush - Dorado in British Columbia Exhibit at the Canadian Museum of History. Hold Your Horses! 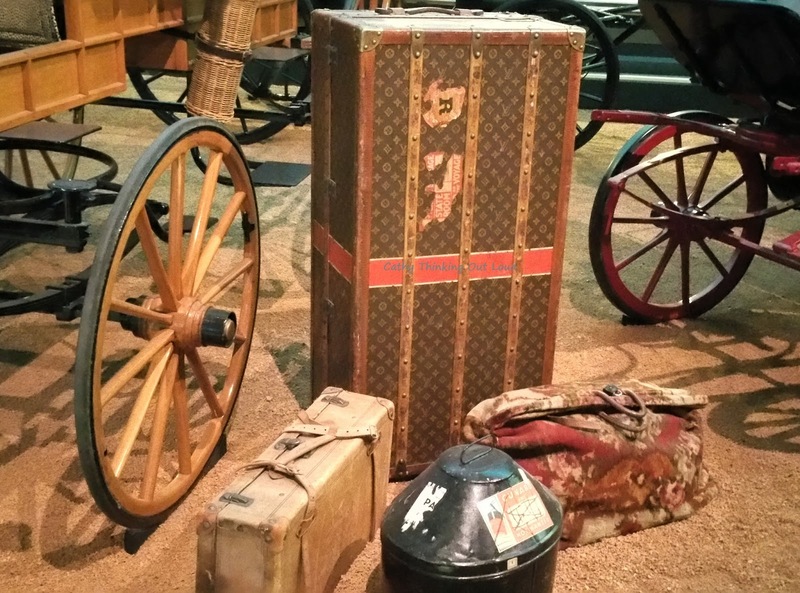 Before you go be sure to trot on over to the Horse Power - The Paul Bienvenu Carriage Collection Exhibit. You know me always thinking out loud. This time to share a few "nuggets" of wisdom about two special exhibits currently at the Canadian Museum of History. 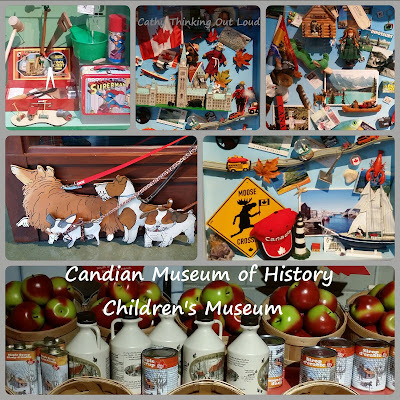 Both exhibits have a "gold mine" of fascinating facts and artifacts which give a window into specific parts of our Canadian history. 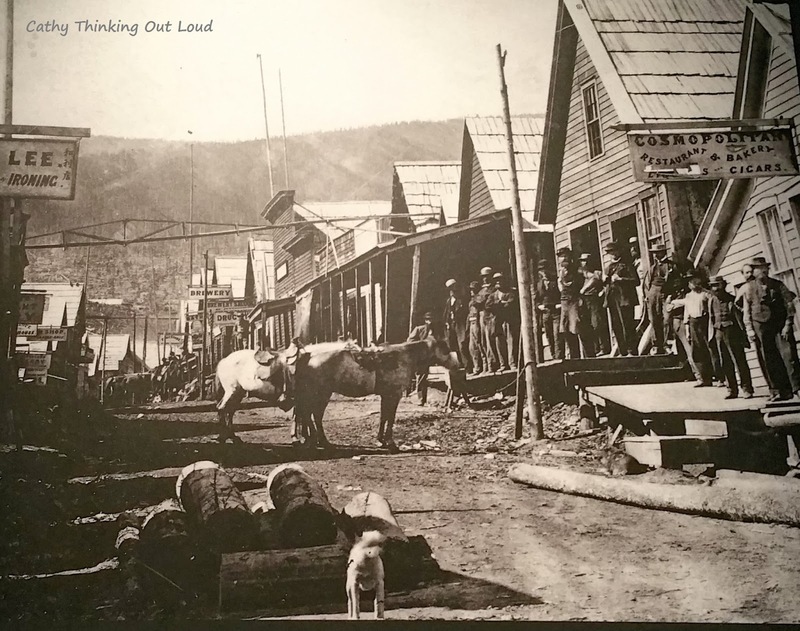 Until Jan 15th, 2017 you can explore the 280 artifacts that tell the story of the British Columbia's Gold Rush, and where it fits into the timeline of gold rushes around the world. 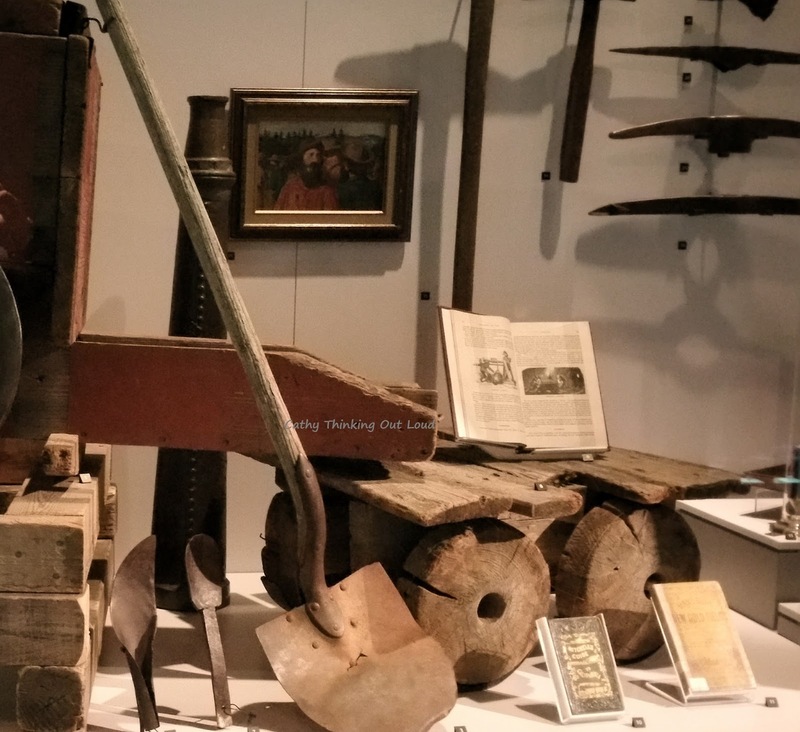 On display are some extraordinary works of art, miner's tools and even a real restored stagecoach. You'll also learn all sorts of interesting facts and information about gold's "uses in science, technology and medicine". This exhibit provides a window into life during the British Columbia Gold Rush, how it impacted Canada's immigration, colonization, culture and "helped to shape the Canada we know today". 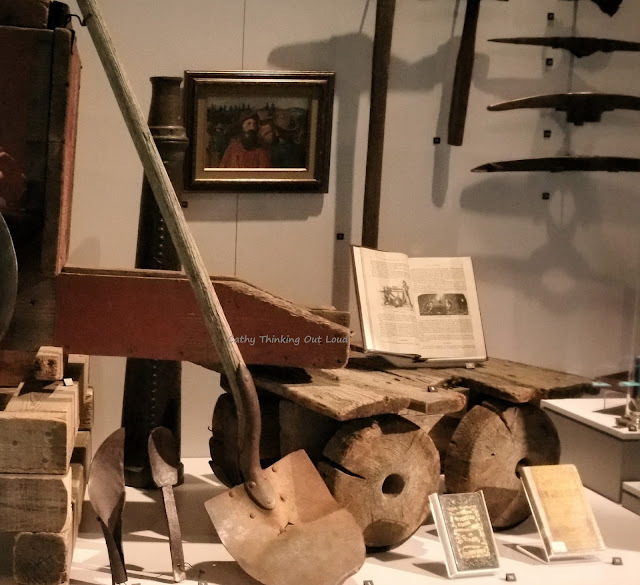 The Gold Rush exhibit is a collaborative effort between the Canadian Museum of History and the Royal BC Museum, and gives those outside British Columbia a limited time opportunity to see these artifacts from this interesting period in Canadian history. In other words it's not permanent so be sure to take advantage and explore this exhibit while you can. 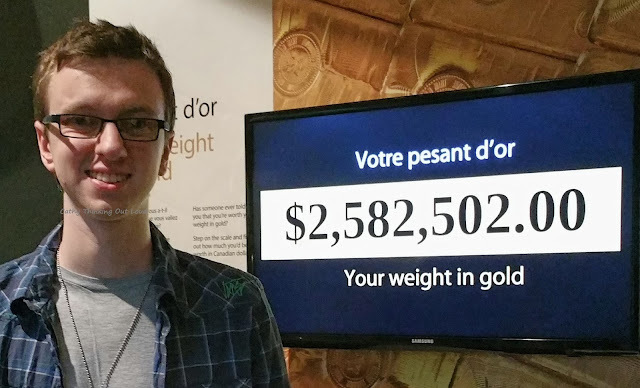 Since this Thing 1 seems to think he's worth his actual weight in gold ... the debate continues. You can't leave yet. That would be like putting the the cart carriage before the horse. EXTENDED! Until January 7th , 2018, 2017 you can explore Horse Power - The Paul Bienvenu Carriage Collection. This unique collection of 18 horse-drawn carriages and sleighs demonstrate the superior craftsmanship and attention to detail that when into these vehicles. The mode of transportation one drove back then, like now acted as both a way of getting from A to B and as symbol of wealth and social status. This collection exhibits both the evolution of horse-drawn vehicles, and highlights carriage and sleigh designs and makers that are uniquely Canadian, including 14 made in Quebec. The Canadian climate influenced how people and goods were transported, which in turn impacted the design and materials used to manufacture horse-drawn vehicles. If it was merely to function as a (excuse the pun) work horse decoration and ornamentation would be minimal. 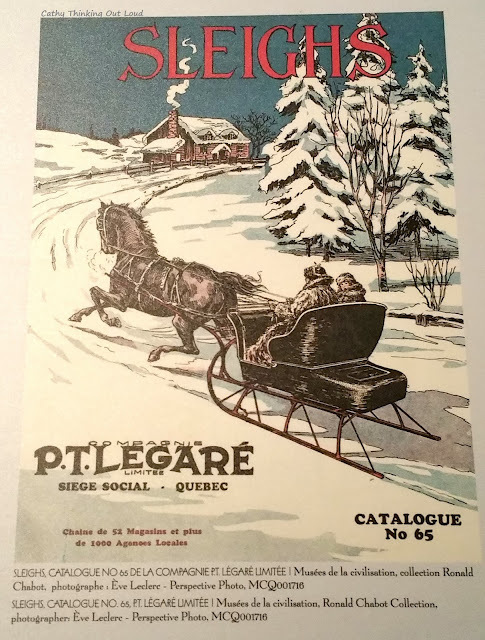 On the other hand if the sleigh or carriage was about making a statement on your social status, or it's purpose was to allow for socializing this was reflected in the design, as evident in the intentional decision to manufacture roofless sleighs allowing one to "be seen". Like a Louis Vuitton trunk, a sleigh or carriage could be a sign of wealth. 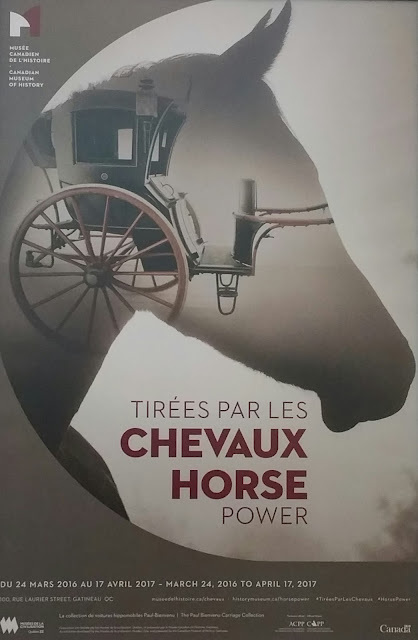 The Musees de la civilisation in Quebec City developed this exhibit drawing from the more than 213 horse-drawn vehicles donated by Paul Bienvenu. Using 18 carriages and sleighs this exhibit not only examines the history and evolution of horse-drawn vehicles in Canada, but also ties them to famous or historically significant events or Canadians who owned or used these vehicles. Don't be shy, get social with the Canadian Museum of History: on twitter and facebook to be in the know, and on Instagram for pretty pictures. 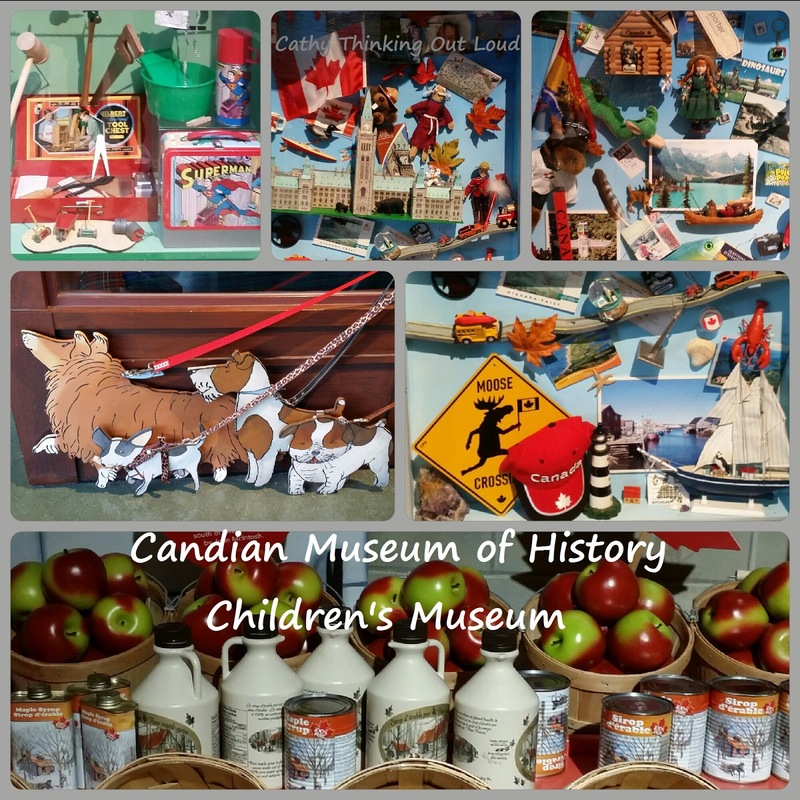 If you have young children be sure to visit the Canadian Museum of History's Children's Museum. It's a wonderful interactive experience that never disappoints. 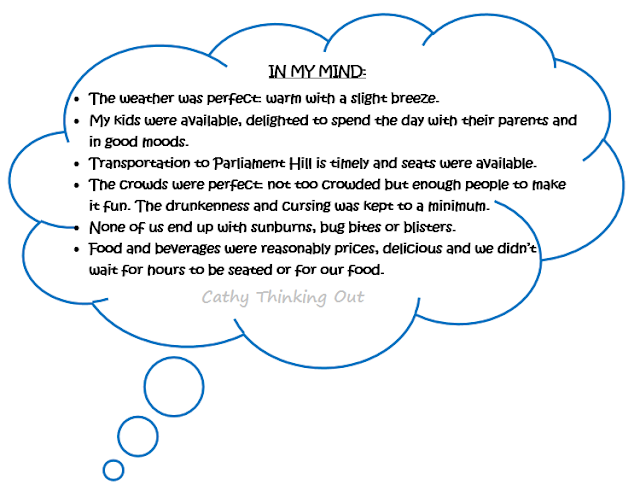 Yep, just me Cathy thinking out loud about all the golden opportunities to incorporate gold and horse puns into this post. I know it's hard to bridle your excitement having hit the mother lode of funny puns with me. But sadly it is time for me to stop horsing around. 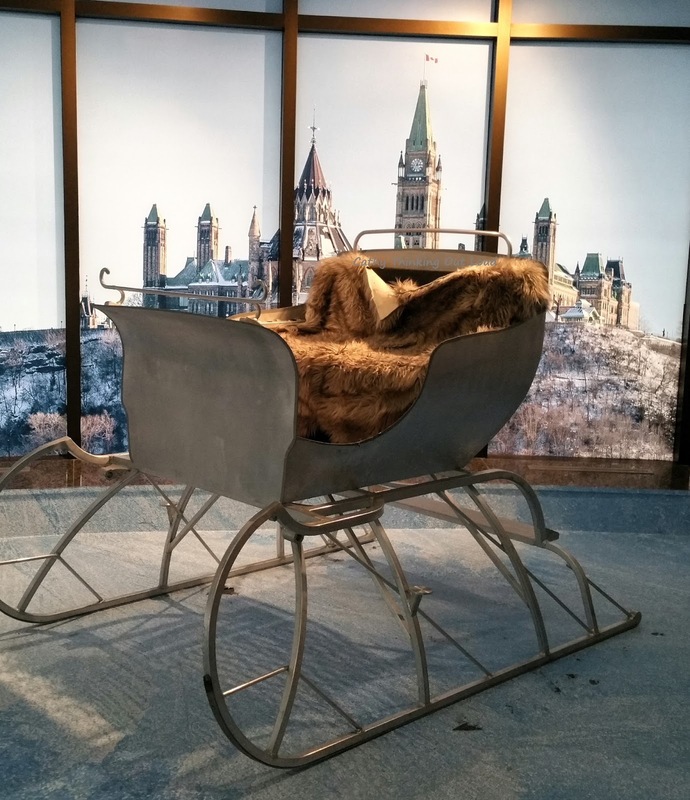 Note: I was an invited guest of the Canadian Museum of History for a media tour of these two exhibits, but received no compensation for this post. All opinions are my own. 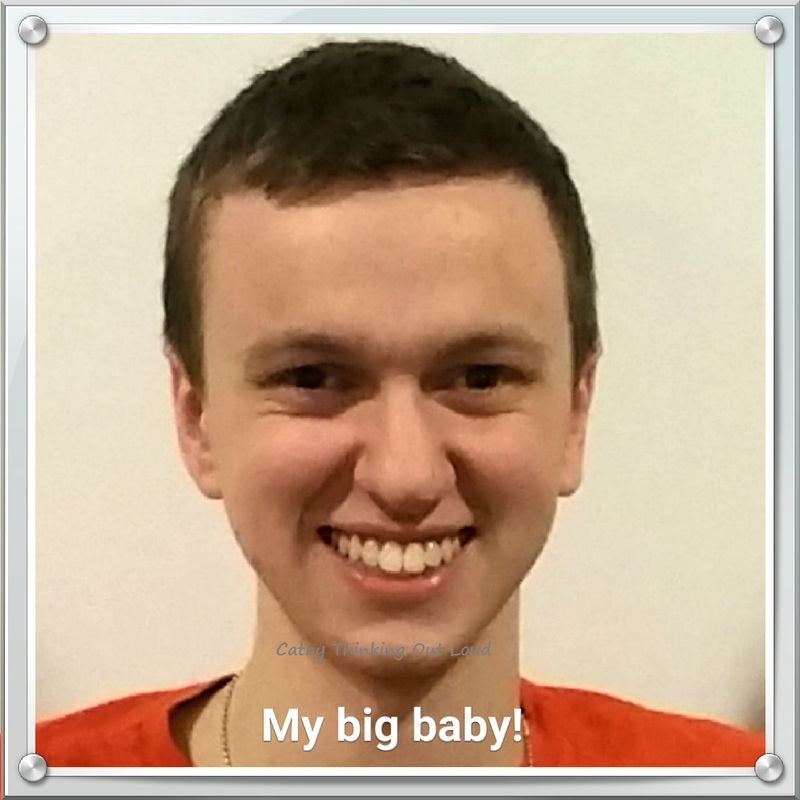 My baby is 20 years old, but he still loves the Cetaphil Baby Line. No doubt that's TMI, none the less it's true. Confession: since I already use and trust the Cetaphil brand I didn't actually read the ingredients in the baby line products before I tried them. It wasn't until after trying and loving them that I took a closer look. It has Calendula to "calm and sooth" skin, as well as Vitamin B5, Vitamin E, Sunflower, Sweet Almond and Jojoba Oil to protect, heal and hydrate skin. What it doesn't have is colourants, parabens, or mineral oils. I wish these products had been available when my babies were actually babies. As a new parent I struggled with many of the same things parents do today, and searched for products, routines and ways to keep my babies healthy and happy. 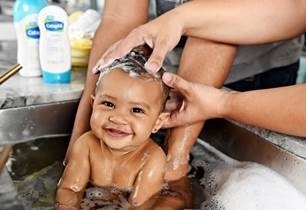 Canadian parenting expert Kelly Bourne has great tips for parents about bathtime, including the perfect bath water temperature and dealing with cradle cap. I still try to find products and ways to keep my babies and my whole family healthy and happy. So why am I writing about Cepaphil's Baby line of products with when I have grown kids? 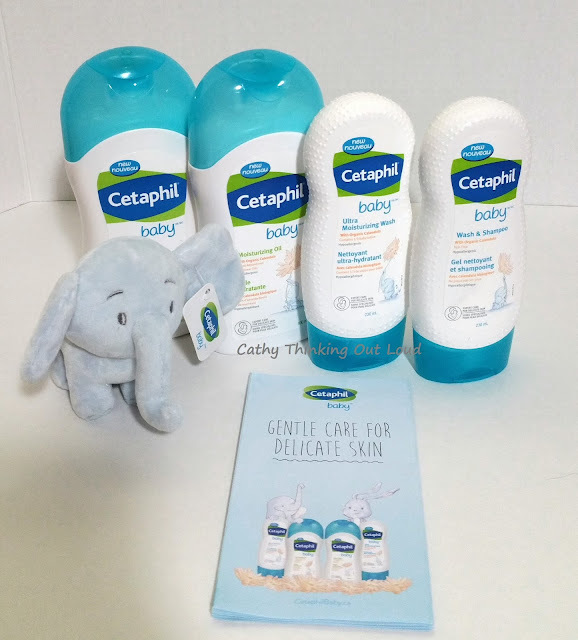 Well, it's because I suspected the new Cetaphil's Baby line might be a perfect compliment to the Cetaphil Gentle Skin Cleanser we all use, and being specially formulated to be gentle for babies, surely it would be gentle enough for my sensitive skin, and I was right. In particular I love the Ultra Moisturizing Wash and the Daily Lotion. Honestly! I've found many soaps and body washes I've tried left my skin red or irritated, but these left my skin feeling hydrated and soft like a baby's ... you get the idea. 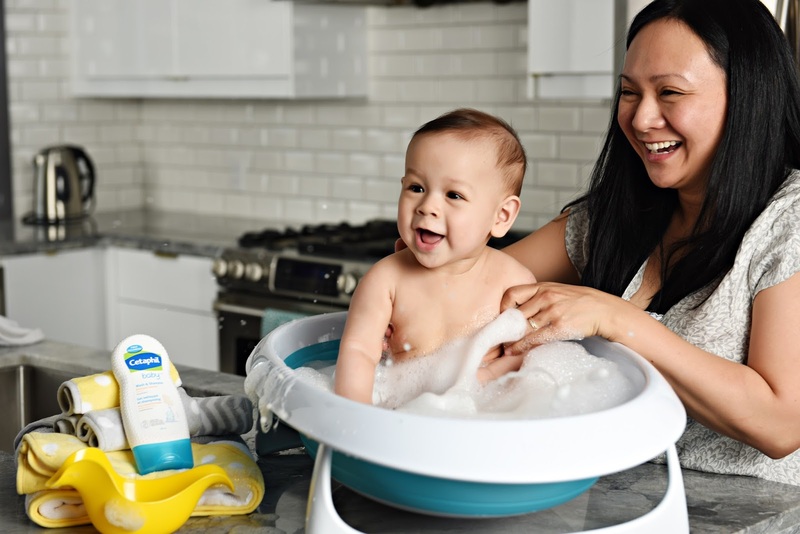 The Cetaphil family of products have become a "my family" thing, and while I understand these particular products were formulated for babies I welcome any product that helps me to deal with product overload in my small bathroom. 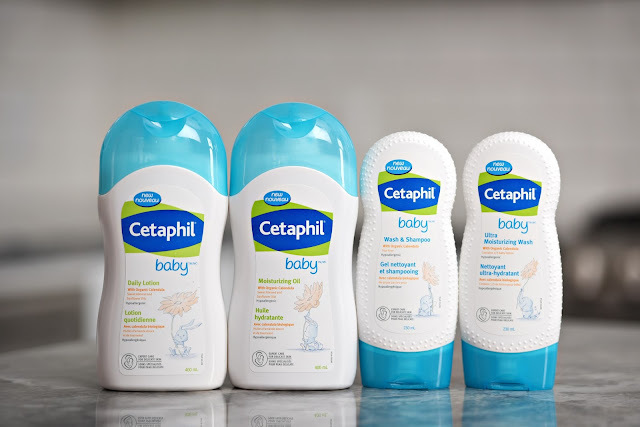 Making room 3 or 4 products per family member is a daily challenge, and one of the reasons I'm excited about the Cetaphil Baby line. It's always exciting when I can buy a single product or products that suit all of our needs. Join Cetaphil Canada Parents Club for tips, coupons and offers specific to parents. You can also follow Cetaphil Canada on twitter and facebook. 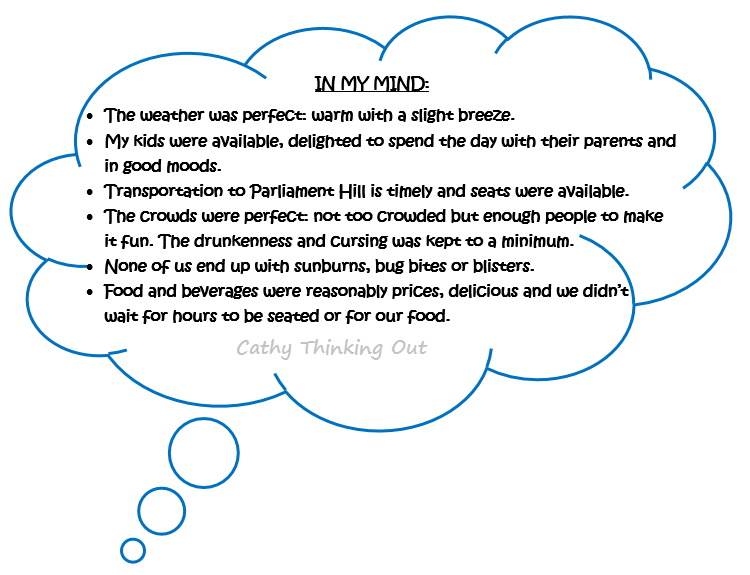 Yep, just me Cathy thinking out loud about #CetaphilBabyBathtime. Note: I received a Cetaphil Baby products free of charge for the purpose of this review and post. 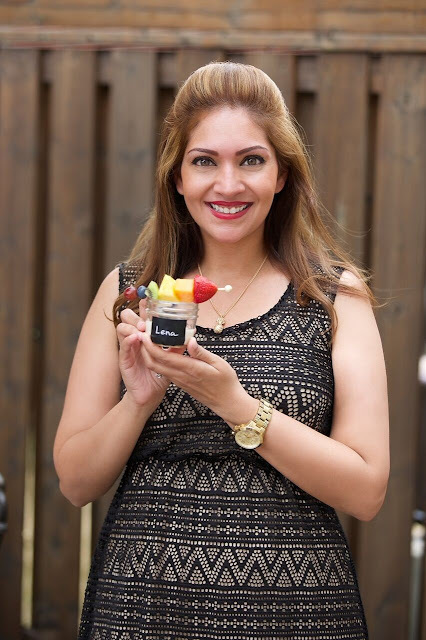 All opinions are my own and reflect my personal experience with the product and brand. Images courtesy of Cetaphil Canada unless otherwise indicated.